For an inaugural Cruise-in-Company on the Solent, conditions could not have been better ! Clear blue skies, high temperatures and light winds accompanied the fleet to all destinations on the itinerary. 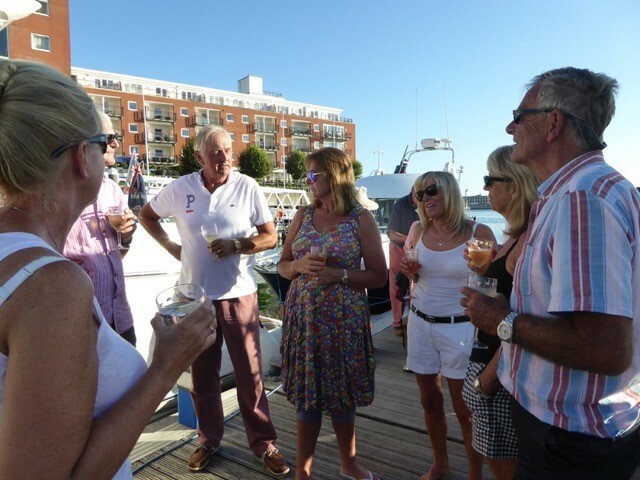 First stop was the Royal Motor Yacht Club, Poole, where members were warmly welcomed to a wonderful dinner in the Club House. 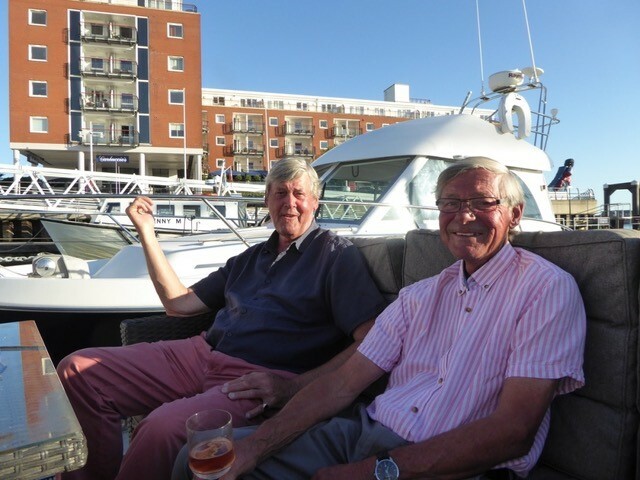 The next day the fleet set sail for Lymington, where once again, members were warmly welcomed. 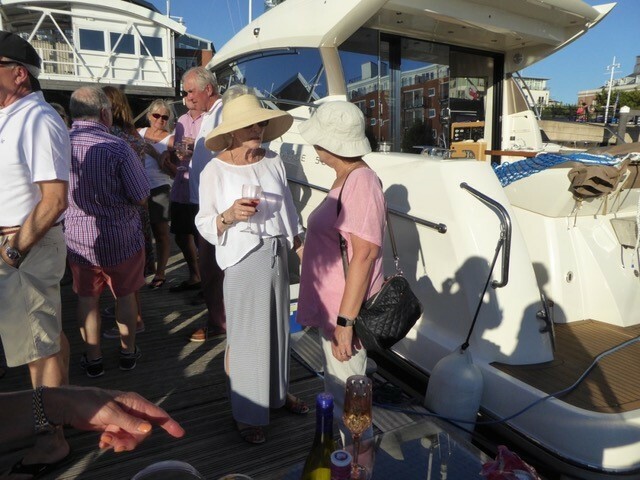 The third destination, Portsmouth was a “free” day, so to speak, where the ladies could indulge in shopping at Gunwharf Quays, if they so wished, before a convivial Pontoon Party nearby the berth of Pure Elegance, which was, indeed, pure elegance ! No doubt, Rupert, the Jack-a-Poo, was on hand to welcome everyone. 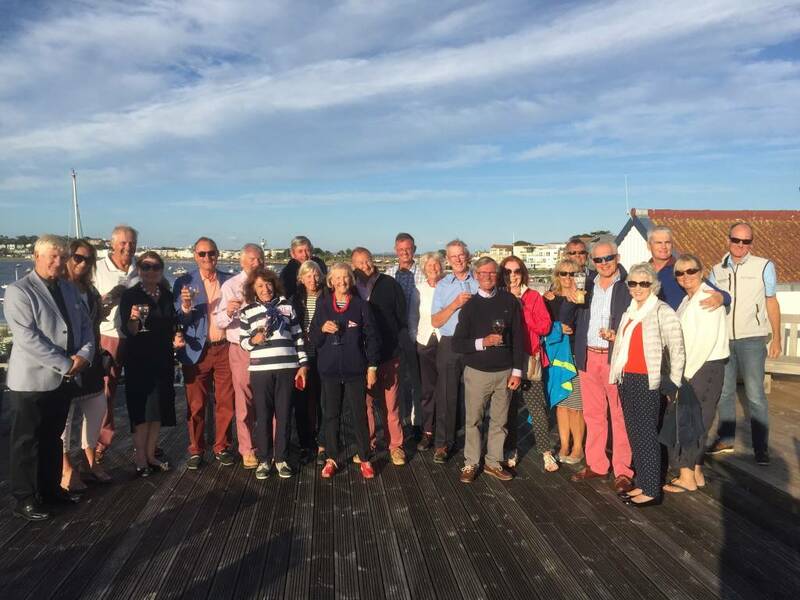 The final destination was Seaview where skippers and crews enjoyed a luncheon at the Seaview Yacht Club before dispersing to their home ports.